I know what you're thinking... that's a bit steep for a bath bomb! But this one's different as you can crack it in half to reveal a 'chick' inside, meaning you can get 3 baths out of the one bath bomb. It's sweet, fruity scent takes over the bath and lingers on the skin for hours afterwards. Now I know this isn't a Spring themed bath bomb, but I'd been wanting to try this for so long as I'd heard nothing but good things. I haven't used it yet but I love the smell as it's so different to other bath bombs I've used. So minty! Again, don't think this is specifically for Spring, but I love bright yellow, citrussy feel it has. 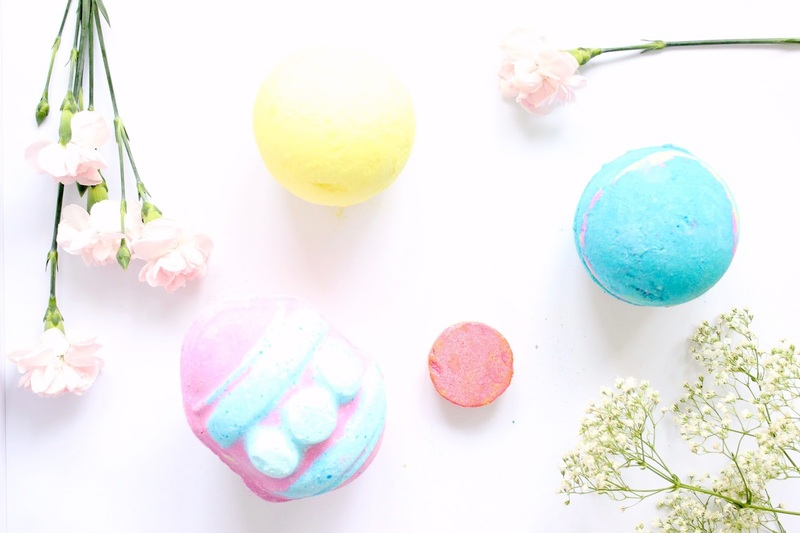 I love an uplifting bath bomb so think this will be gorgeous! Something I've never tried from Lush. They look so cute and tiny, and I love the thought of an oil to moisturise my dry skin. Only £2 too! Bargainous! What have you picked up in Lush recently?